One of the most important things that we learn about this game called “life” is to live in the moment. We’re taught to appreciate each and every single day and to take advantage of every opportunity that comes our way. Well, I think I want to look a bit into the future. 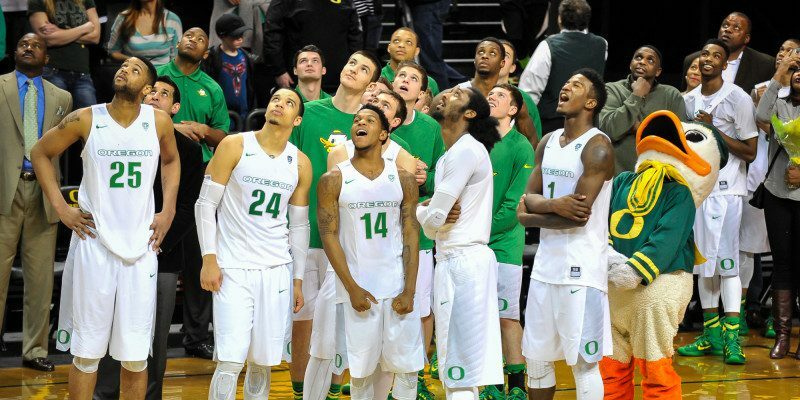 More specifically, I want to look into the future of the Oregon Ducks men’s basketball team. Dana Altman and the Ducks are currently in the middle of an improbable run. Oregon was projected as the eighth best team in the Pac-12 before the season started, and the Ducks had two major concerns coming into the new year: a lack of depth and experience. With those two things in mind, the thought of the Ducks making an NCAA Tournament appearance for the third straight season seemed far-fetched. However, if you’ve been keeping a close eye on these high-flying Ducks the last two months, one thing is definitely certain: the men in green and yellow have trumped their preseason expectations. Dillon Brooks is averaging 12 points and five rebounds this season. 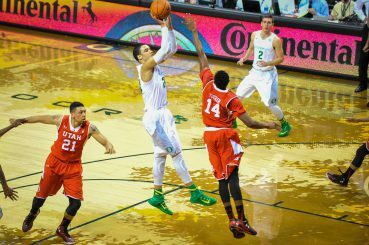 As I watched the Ducks’ victory over the Utah Utes on Sunday afternoon, I was mesmerized by Dillon Brooks and his outstanding performance, and considering how young this Oregon team is, I started thinking about the future of the program. I personally believe that Brooks has the opportunity to be a special player for the Ducks, and he possesses every athletic tool that a basketball player needs, which includes speed, size, and strength. But what’s even more unique is his pure basketball skills. Offensively, Brooks has the ability to put the ball on the floor and finish at the rim, but he can also size you up and hit a pull up jump shot. He’s also an effective rebounder and a solid defender. What amazes me the most, though, is that he’s only a freshman. He’s just getting started and his potential is soaring through the roof. Now, there’s no question that Joseph Young has been the undisputed leader of this young Oregon team, and he’s done a tremendous job of improving his all around game, but the senior won’t be sticking around too much longer. The high scoring guard will most likely take his talents to the NBA next year, which will leave huge shoes to fill. But who’s going to fill those shoes? Who’s willing to step up? The obvious answer might be Elgin Cook, but that’s only if he decides to return for his senior year. It’s almost certain that Altman will have to rely even more on his young bucks next season, but I think they’re ready. Jordan Bell, Ahmaad Rorie, Casey Benson and Brooks have all shown signs of promise this year, and Altman’s ability to get the most out of his players has been paramount to his success as a coach. There’s no question that the future for Altman and the Ducks looks bright. The fact that Brooks plays above and beyond his age is a testament to his dedication and his God-given abilities. With time, I expect him to be the leader and the face of the program, and one of the best two-way players in the Pac-12, as well. Also, keep in mind that the Ducks already have two top 100 commits for next season, which is headlined by Tyler Dorsey, a five star shooting guard out of Los Angeles. It’s no secret that Oregon took a big hit when it lost two if its starters last offseason, but these high-flying Ducks always find a way to succeed. The future looks very bright.